What are the basic benefits of working as a security officer? Security Officer - The Basics? So, how hard is it to find work as a security officer? This overview contains some of the basics regarding licensing, training, education qualifications and finding a security job. It also describes a few of the benefits and detriments related to the occupation. The following text presents a very broad overview and should not be seen as a substitute for your state’s specific requirements which may be found through this site's States page. 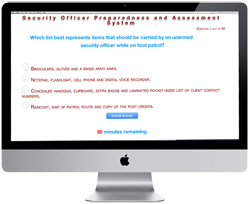 Security officers must meet a basic set of qualifications likely established by state law. These laws govern the licensing and qualification processes. An age requirement represents one of the foremost qualification guidelines most likely found in all jurisdictions. Subject to state specific variance, the candidate will likely need to be 18 years of age to become an unarmed officer and 21 to hold an armed guard license. State laws may also require the candidate's background to have remained free from certain types of criminal convictions. The following represents an example of a licensing process. The process will vary from state to state and this is only a very generalized example. 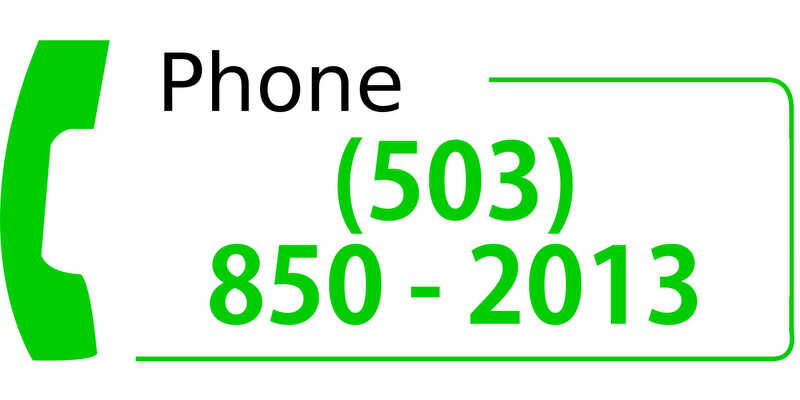 You may review your state-specific requirements from this site’s state page. The applicant must complete a set number of hours of training at an approved private school or vocational center. This training may take place while the applicant is working on a conditional license issued through the officer’s employer. The applicant must submit an application containing his fingerprints and authorization for a criminal background check. At that time he will also likely need to submit a fee. He may need to pass a test administered by the state licensing authority. Finally, an officer who seeks licensure without currently being in the employment of a security agency may also need to provide evidence of a bond. 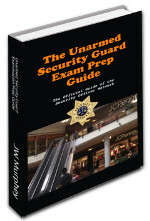 Once approved the officer receives his unarmed security license. The license must be renewed at a set interval of time. Licensure for armed officers is a bit more complicated with the officer taking extra hours of training and passing a range test. Most security positions do not require a college diploma as a means for entry. This effectively limits the necessary training to state certified vocational-type classes which may be necessary for licensure. These classes will be provided based on the type of license the security officer is pursuing. All candidates for licensure will take the basic classes. These classes include the base concepts such as reporting (Who, What, When, Where and How), basic security techniques and state laws governing the conduct of security personnel. An unarmed officer will probably not need to take the firearms training or go through range qualifications. Armed officers will take the firearms courses. Officers should take additional classes for each continuum of force weapon they wish to use. While these classes may not be required in order to get a license they could provide protection in the event of a lawsuit resulting from the use of force by the officer. Armed officers who wish to use a semi-auto handgun or a shotgun (if allowed by state regulations) should also take a transition course. As a condition of licensing the officer may need to take continuing education classes prior to renewing his license. 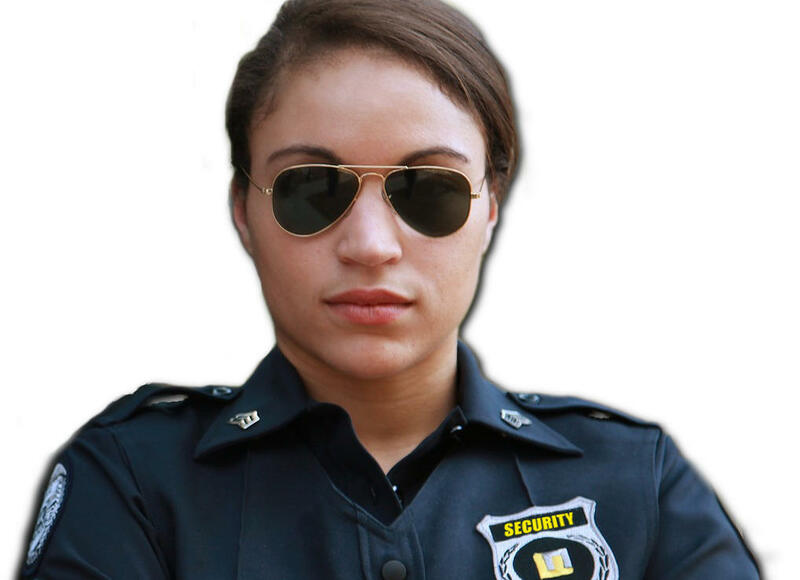 Many security companies provide their employees with the standard uniform shirts, pants, badge and sometime ancillary items such as name tag, tie, whistle and rank bars. This provides the unarmed officer with nearly all of the needed items. Additional hardware commonly employed by security officers include flashlight and radio equipment. Armed guards have a much greater need for equipment than those who are working unarmed. Traditionally utilized armed officer continuum of force equipment includes weapon, ammunition, mace, extendable baton, handcuffs and communication equipment such as radio and microphone. Officers desiring to appear professional must maintain the appropriate duty gear. The gear and these items represent significant expense. While the larger agencies should provide some or all of this equipment those working for smaller companies may need to purchase their own supplies. Bullet proof vests are likely not provided for the armed officer by most companies. If possible, every armed officer should purchase and wear one. Security positions are ideal for retirees who wish to supplement their income, individuals seeking to advance into law enforcement or those working their way through college while trying to get a degree. The pay is oftentimes a few dollars per hour higher than minimum wage. Many security posts are routine and do not require a significant amount of physical labor. Since the security business primarily orients around staffing, oftentimes short-staffed companies will offer their employees with significant amounts of overtime. This provides the ideal situation for those who need to pay the bills while working their way through a police certification program and allows the officer to receive some law enforcement-related experience. Numerous security industry positions do not offer health or retirement benefits. These positions are not in and of themselves conducive to a lifetime career path. An officer may remain tied to an entry level position for many years without much opportunity for advancement and without the ability to draw down significant pay increase. Oftentimes upper level supervisory positions within the large security companies contain little more than personnel staffing responsibilities. Thus, even when advancing within an organization the employee evolves away from the primary responsibilities of the security officer. He migrates into a roll where his primary responsibility involves making phone call after phone call attempting to convince his employees to come into work and fill open shifts. 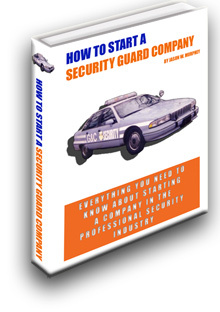 Those who wish to remain in security for a long period of time should consider starting their own security guard company. In this way, the officer bypasses the mid-level chain of command which risks entrapping so many officers and gains control of his own destiny. Security services are part of an extremely stable industry and finding a security job should not be difficult for a licensed officer who will show up to work on time and follow post orders. Even during an economic downturn the industry can stay strong as criminal activity may tend to increase thus also increasing the demand for security services. This need for officers provides the applicant with the opportunity to carefully choose the agency for which he goes to work. Over time this site should feature information about these companies and provide a resource to security job seekers who need a security position with a good security agency. Thank you for reading this overview. Hopefully it provided the basic background information necessary to gain an idea of the requirements of the job. Once again, the specifics of your security license will be governed by your state’s laws and licensing authority’s rules and policies. To review the policy and procedure that apply to your circumstances you will need to visit the state page for your specific state.